Tents : 72hrprint.com, We Print and Ship in 72 hours! 5x5 Tent. Full Color Dye Sublimated Graphics. Wrinkle & Stain Resistant. Made out of Heavyweight Poly Poplin. 8x8 Tent. Full Color Dye Sublimated Graphics. Wrinkle & Stain Resistant. Made out of Heavyweight Poly Poplin. 10x10 Tent. Full Color Dye Sublimated Graphics. Wrinkle & Stain Resistant. Made out of Heavyweight Poly Poplin. 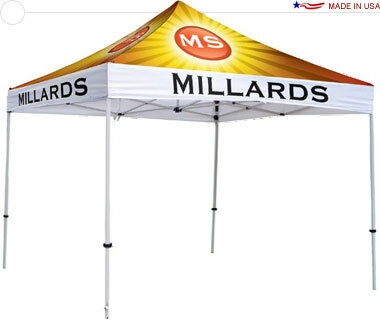 15x10 Tent. Full Color Dye Sublimated Graphics. Wrinkle & Stain Resistant. Made out of Heavyweight Poly Poplin.